In their second report on the deteriorating human rights situation in the Great Lakes country, the Commission of Inquiry notes that in some cases, the abuses constitute crimes against humanity. “We know that the form of executions has changed so they’re hiding the bodies…there is every reason to believe that in a large number of cases, they are ending up dead,” said Françoise Hampson, a member of the UN panel. In addition to concerns over these and other grave rights violations including torture, sexual violence and arbitrary arrests, the UN panel highlights the growing influence of the Imbonerakure, the youth wing of the ruling party, in government. “The Imbonerakure has control and intimidates the population”, Ms. Hampson said, adding that some members of the group “have become increasingly important in the repression”, operating “with near-total impunity”. According to the UN report, in the past 18 months the number of people in need of humanitarian aid in Burundi has risen threefold, to more than three million people; roughly a third of the population. 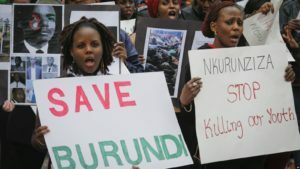 Despite their dire situation, the people of Burundi deserve huge credit for refusing to accept the Government’s attempts to portray the crisis as an ethnic problem, a key concern, given the repeated cycles of intense violence and mass killing that have marred the country’s recent past, since independence, Ms. Hampson said. The authorities were the “main source” of hate speech, Ms. Hampson insisted, noting that the UN panel had found examples “that have gone up right as far as the President”, Pierre Nkurunziza. 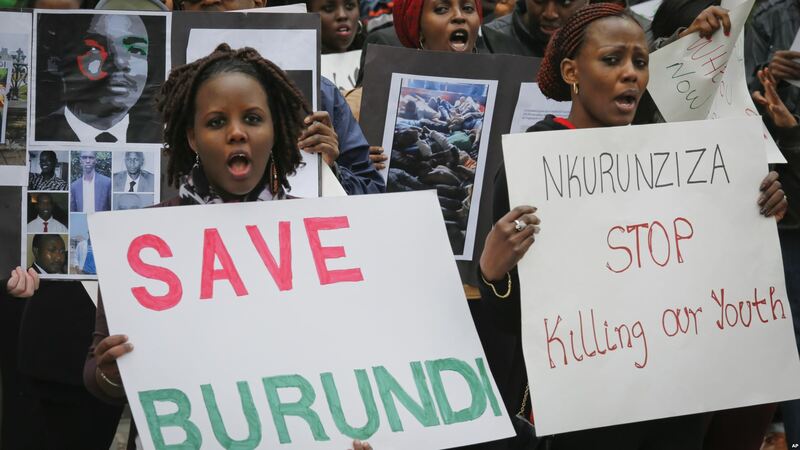 On the issue of Mr. Nkurunziza’s bid for re-election in 2020, Commission of Inquiry President, Doudou Diène, warned that it had led to “persecution, threats and intimidation” of supposed Government opponents, as had a referendum held in May this year. And in a sign that the crisis may be deepening, Mr. Diène noted that generals who had been “at the heart of power” had also left the country, amid the growing impoverishment of the population, increasing food insecurity and other social and cultural rights violations. On the issue of tackling impunity, he added that the Commission of Inquiry had compiled a confidential list of names of those allegedly responsible for serious abuses in Burundi, which could be handed over to an appropriate tribunal at a later date. The Commission of Inquiry’s full 250-page report will be presented to the Human Rights Council on 17 September. Posted by Steven Addamah on September 6, 2018. Filed under News. You can follow any responses to this entry through the RSS 2.0. Both comments and pings are currently closed.